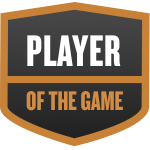 Jasmine was selected the Player of the Game in the basketball game against Fort Lupton on Fri, Feb 15 2019. Congratulations to #30 Jasmine Morales for being selected the Arvada Girls Basketball Player of the Game. Jasmine's basketball stats have been updated for the loss vs. Fort Lupton. Jasmine's basketball stats have been updated for the win vs. Englewood. Jasmine's basketball stats have been updated for the loss @ Skyview. Jasmine's basketball stats have been updated for the loss vs. Riverdale Ridge. Jasmine's basketball stats have been updated for the loss @ Englewood. Jasmine's basketball stats have been updated for the loss vs. Weld Central. Jasmine's basketball stats have been updated for the loss @ Fort Lupton. Jasmine's basketball stats have been updated for the loss @ Alameda.